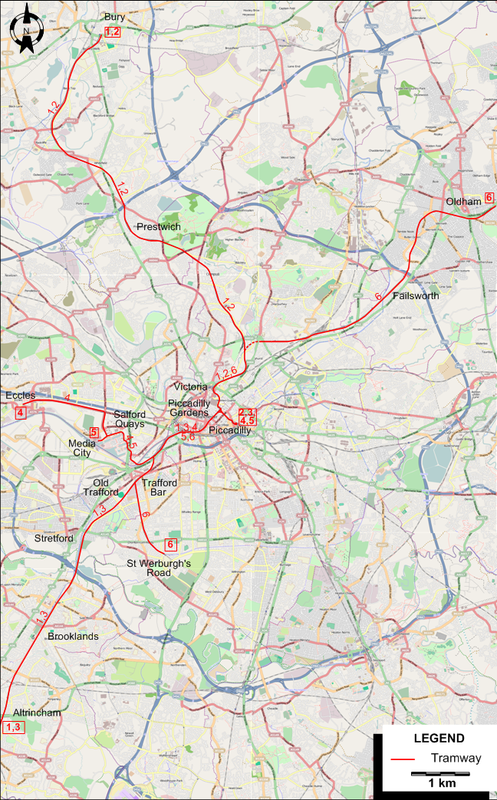 The Manchester tram network after the opening of the Oldham line. NB: The above routes are weekday daytime services. Routes 1 and 5 do not run on weekday evenings, and on weekends and public holidays. When route 5 does not operate, route 4 also stops at Media City. 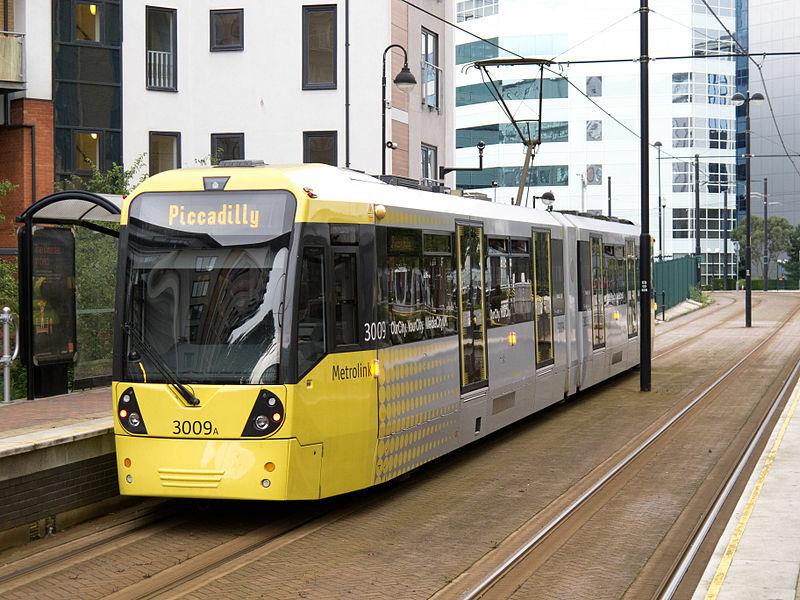 Weekend services are from Piccadilly to Bury, Altrincham and Eccles, and from Oldham to St Werburgh's Road.